Arancini literally means "little oranges" and comes from the Italian word arancia, meaning "orange" (funnily enough), as the outcome is supposed to vaguely resemble orange-like balls. 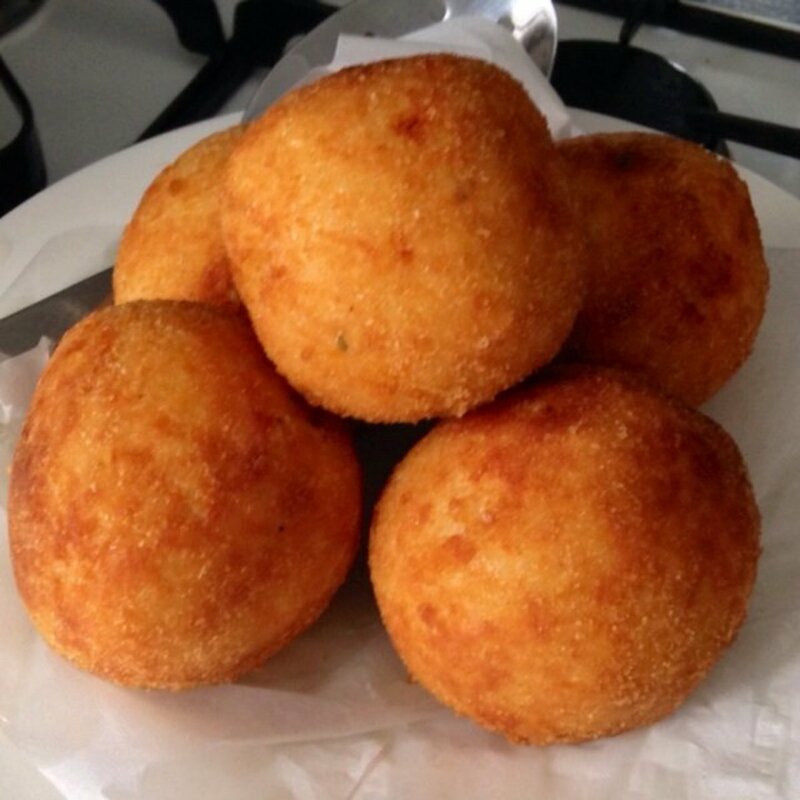 I first came across arancini whilst watching Inspector Montalbano, an Italian detective series based on the novels of Andrea Camilleri. As well as solving various murders, the main character, Commissario Salvo Montalbano, is extremely passionate about his food, and the dish that seems to excite him the most is the arancini made by his housekeeper. Yes, he is acting the part, but I still had to give them a go myself and am now as obsessed as the fictional detective! The arancini in the show are actually shaped like little pyramids, but this is a dish that has countless variations and can be adapted and experimented with endlessly. You need a good couple of hours to prepare the arancini. I usually make the risotto and sauce the day before and then put the balls together the following day. This takes the pressure off doing them all in one hit and it's a bit more relaxed and enjoyable, just my opinion though! 3/4 cup or 100g Parmesan, Parmigiano Reggiano if you can as it is the best. 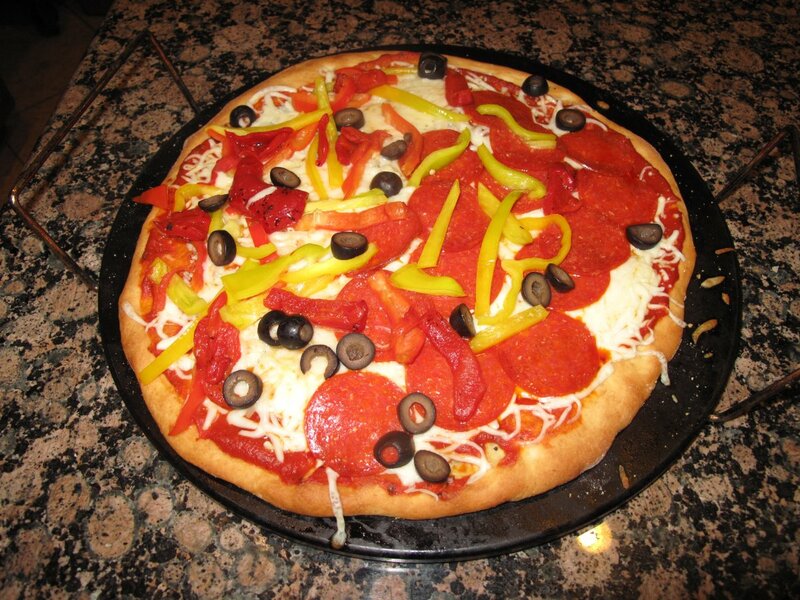 1 tablespoon olive oil, preferably not extra virgin as it is more likely to burn the ingredients. 10 small chunks mozzarella, Buffalo mozzarella if you can as the cheaper versions often lack any flavour. 2 cups or about 250g breadcrumbs, it's labourious and boring but worth the effort. This recipe makes about ten Arancini balls. The risotto take about 10 minutes to prep and half an hour to cook. The sauce take at least 45 minutes to prep and cook. They both need cooling time, at least half an hour. 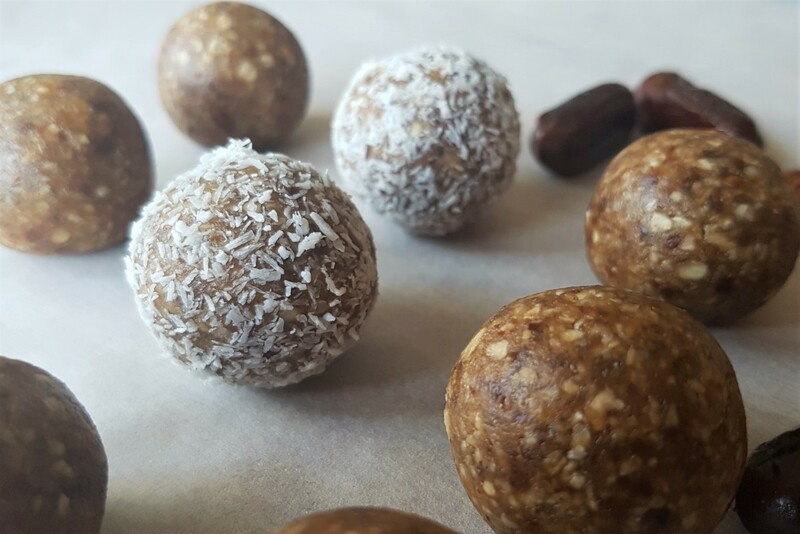 Making the balls takes 20 minutes and then they need to be kept into the fridge for a minimum of half an hour. It takes a minute or so to coat each ball and about 10 minutes to deep fry depending on the temperature of the oil and the balls. I use my hands to mold the arancini into ball shapes but it is also common for them to be shaped as little pyramids. 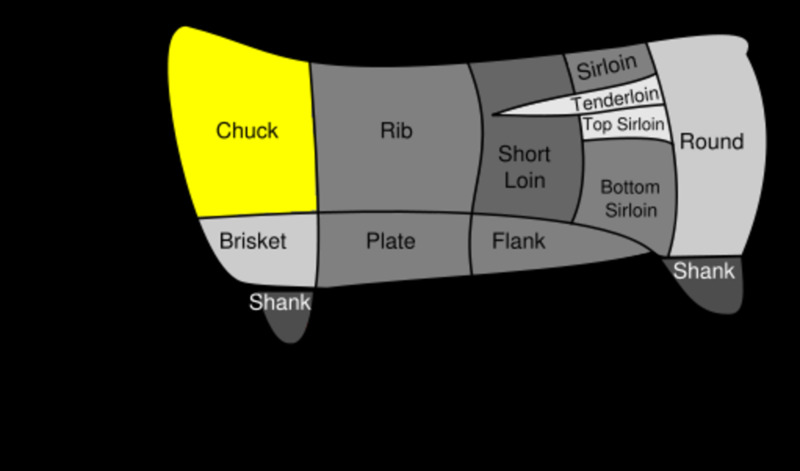 Again, it is probably easiest to do this by hand but you could try to use a food mold to assist with the shaping if you wanted. 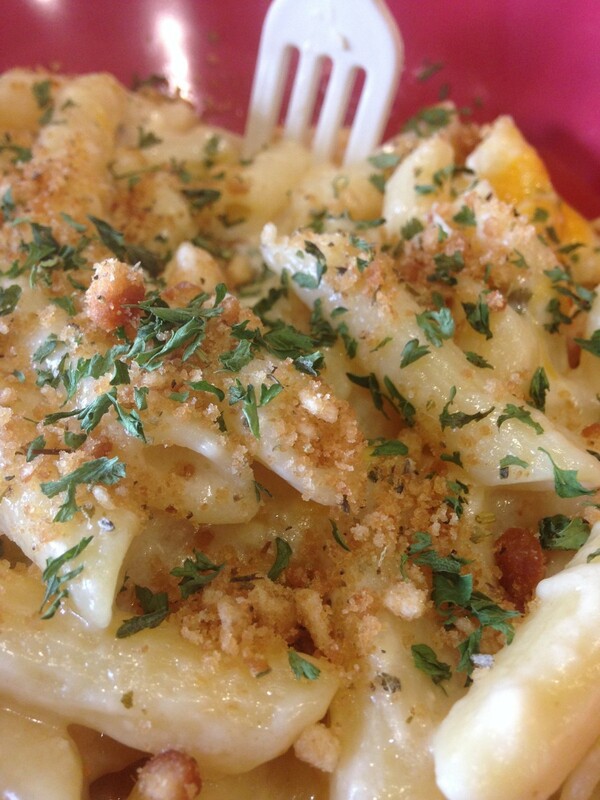 The first thing you need to do is grate the breadcrumbs. This is by far the most arduous and dull task but it's worth making your own crumbs rather than buying them ready made as they won't work as well. I buy a French stick, leave it for a couple of days and then grate it to within an inch of its life. 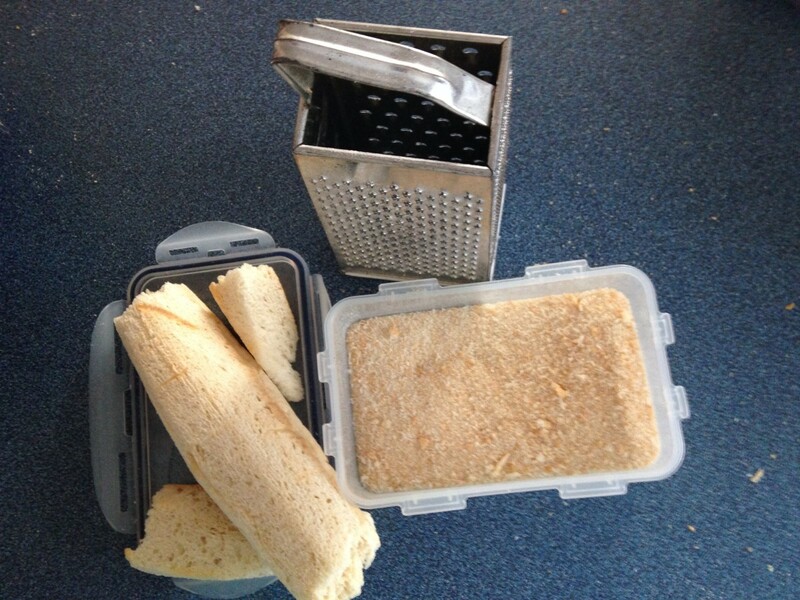 One French stick makes more than enough breadcrumbs. If you use up all of your stock, add boiling water to finish off the rice cooking process. 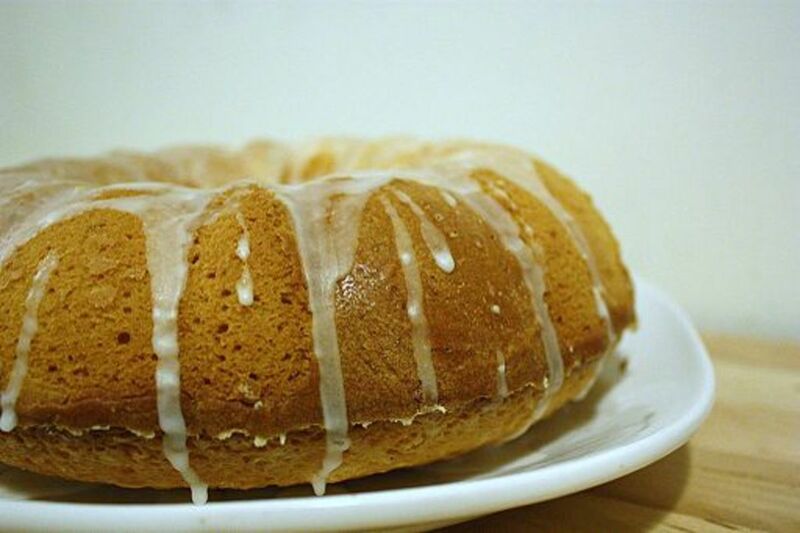 Melt the butter in a large frying pan on a medium heat. Add the chopped onion and cook until soft and translucent. Then add the rice, giving it a stir coating as much of the rice as possible with the melted butter. Do this for a few minutes stirring continuously. If you have a bottle of white wine open add a dash and let it absorb into the rice. If you don't, don't worry. Next add a ladleful of stock and stir. Once most of the stock has been absorbed add another ladleful. Repeat! Keep up the stirring and adding of stock until the rice is cooked, about 20 or so minutes. Test whether the rice is cooked by selecting a grain or two and checking whether the rice is softened and edible. After the rice has cooled slightly (about 20 minutes) add the beaten egg and Parmesan. 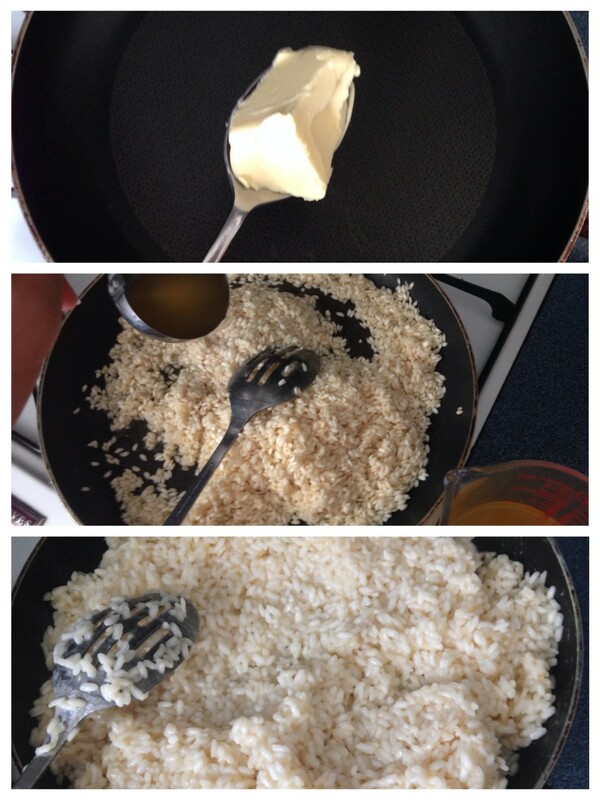 Combine the mixture well without squishing the rice using either your hands or a spoon. Put the risotto mixture in the fridge for an hour or two so that it is cold enough to manipulate easily into balls. Keep the temperature low to avoid burning the garlic and ruining the dish! You can do this simultaneously to the risotto if you able to multitask or otherwise make it afterwards. It's probably best to start out with the risotto and then the sauce to allow the risotto time to cool in the fridge. Heat the oil in a small saucepan on a low heat. Cook the onions, stirring often, until they are translucent. 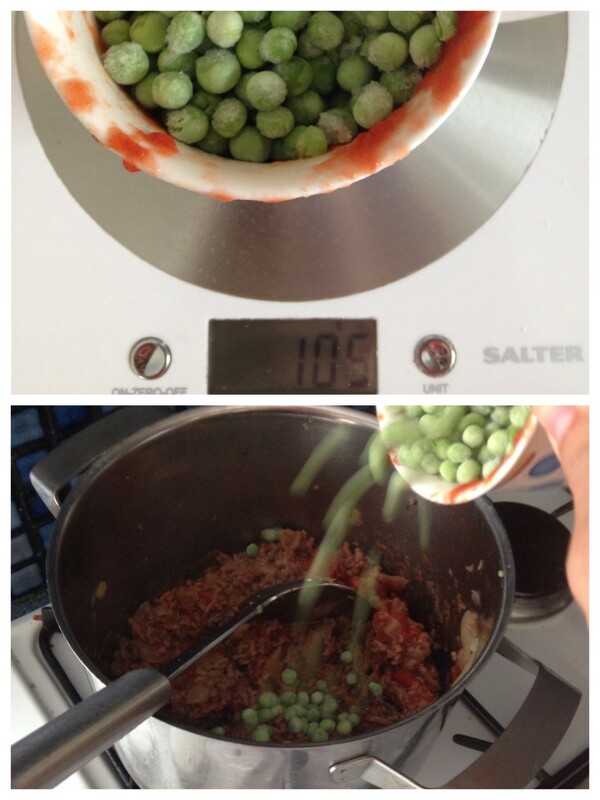 After a couple more minutes add the mince meat and break up using a spoon. 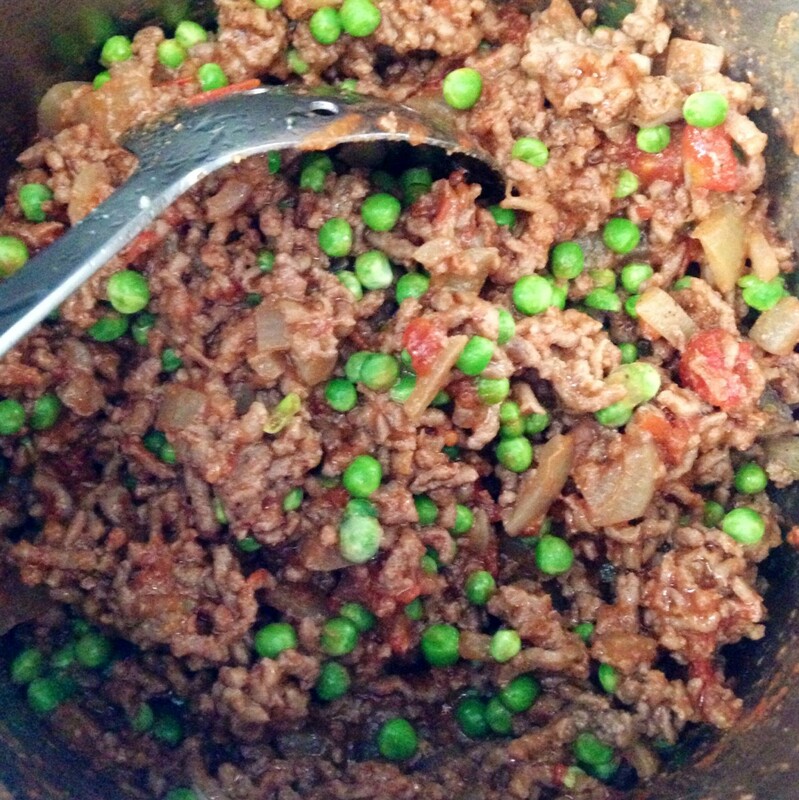 Once the mince is lightly browned add the purée and stir. Now if you have any red wine open throw in a splash! Give it another minute or so and add the passata, peas and plenty of seasoning. Easy on the salt, go to town with the pepper, is usually how I go about things! Keep on stirring and simmering the sauce for at least half an hour. Leave the sauce to cool down to room temperature. The longer the sauce bubbles away, the more flavorsome it will be, but keep on checking and stirring to ensure it doesn't burn and stick at the bottom of the pan. Try not to make the balls too big to start off with. A mistake I often make is making the first few balls massive and then having to make the last few quite small to eek out the remaining rice mixture. It isn't the end of the world if this happens, you will just end of with inconsistently sized balls! To make the balls easier to manipulate keep wetting your hands. Gather your ingredients, the rice, sauce and mozzarella. Wet your hands with cold water. Take a handful of rice in one hand (I go for the left hand but I am left handed!). 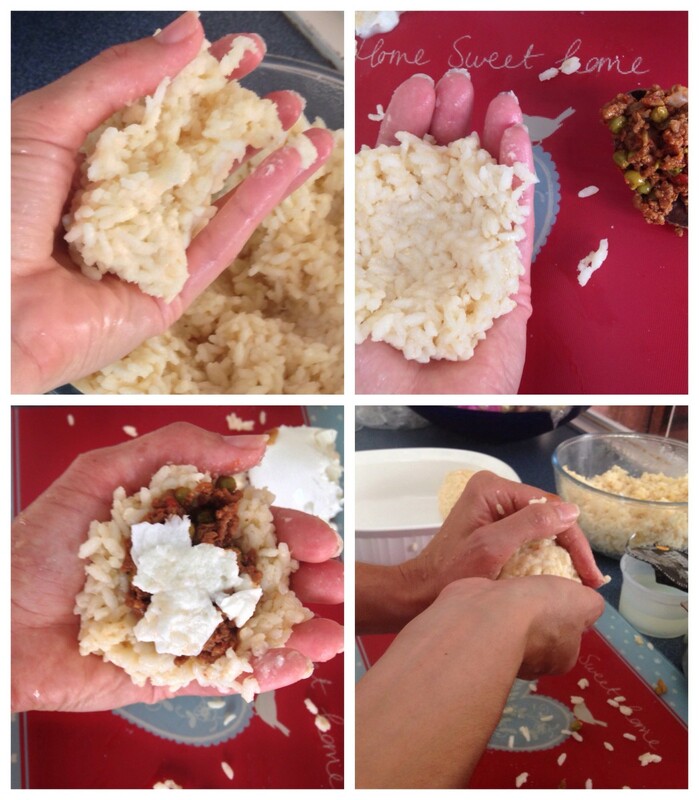 Mould the rice with your other hand so that you create a hollow, half circle shape. See photo for clarity. Now get a spoonful of the sauce and put it into the rice mould to form the centre of the ball. Add a chunk of mozzarella. Gather up some more rice to finish the shape, moulding with your hands and pushing in any bits of protruding sauce with your finger. 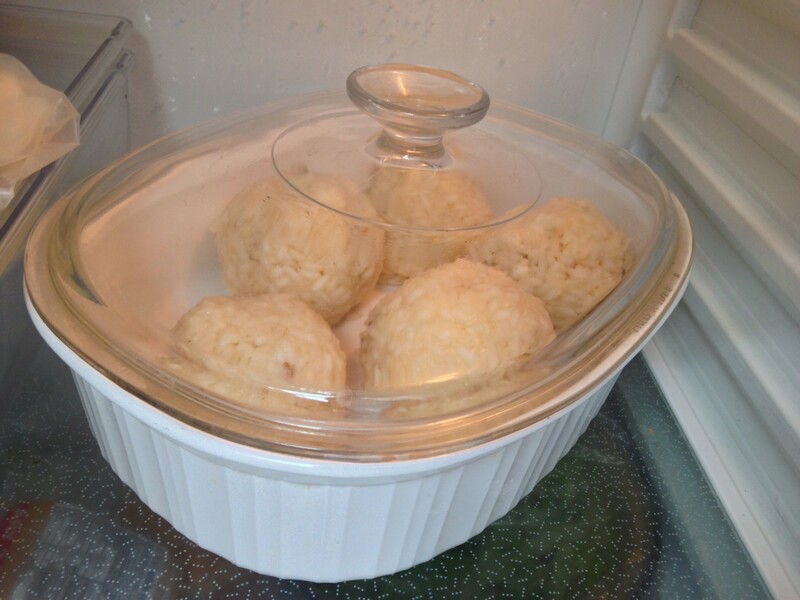 Once you have made all of your balls place them in a covered dish in the fridge to firm them up. You will probably end up with some sauce left over. Tastes pretty goood on a jacket potato. Take the balls out of the fridge half an hour or so before you are going to fry them as they will cook through faster without the outside potentially getting over done. Once the Arancini have firmed they can be coated and cooked. Heat the oil on a medium to high heat. 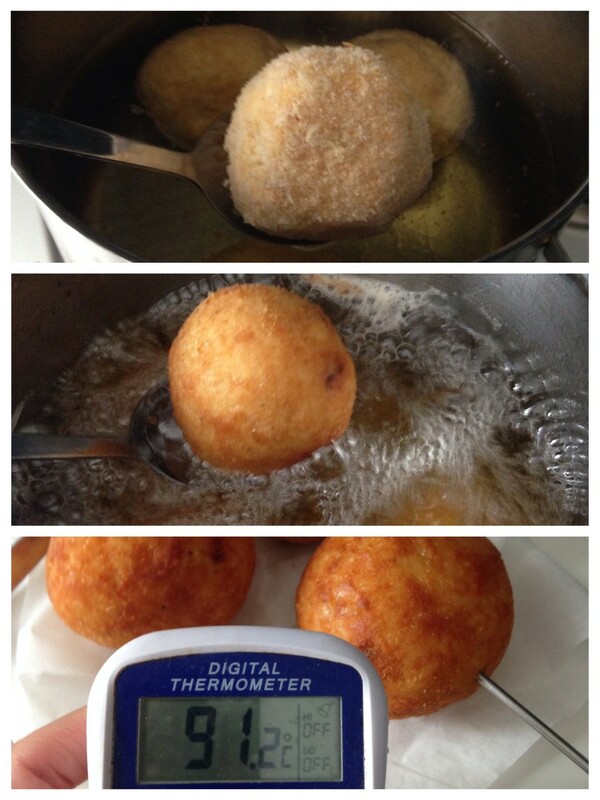 You can either use a deep fat fryer or a saucepan filled with enough oil to cover the Arancini. Get the beaten egg, breadcrumbs and rice balls to hand. 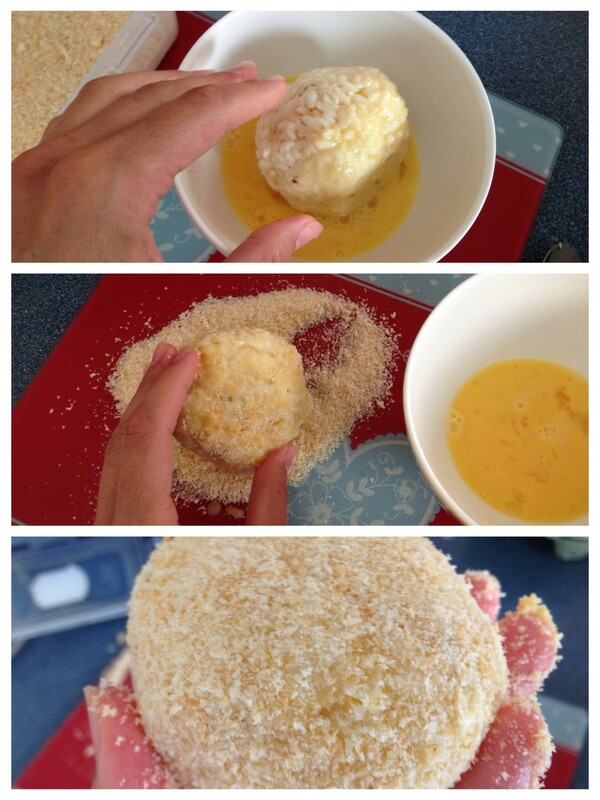 Take each ball and coat it firstly in egg and then breadcrumbs making sure that the entire surface area is covered. When the oil is sufficiently hot lower in as many Arancini as you want to cook or that will fit. 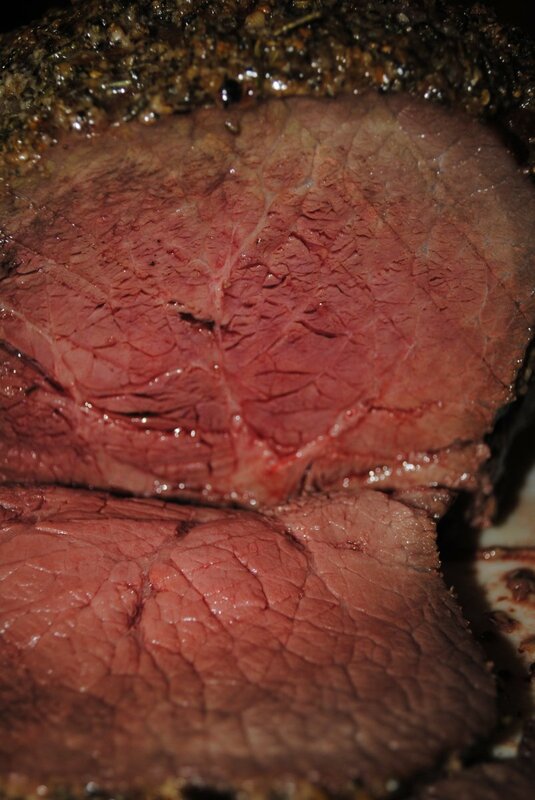 They should take about 6-8 minutes but if they have been in the fridge for a while and are very cold they will take around 10-12 minutes to get the middle sufficiently warmed up. 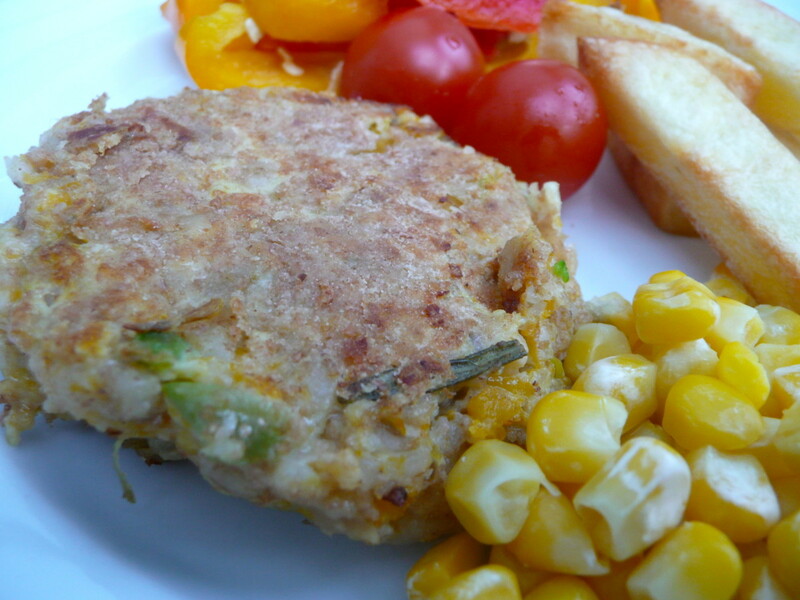 If you have left them in the fridge then it may be an idea to take them out half an hour before you want to cook them to let them get to room temperature. I use a temperature probe to check the temperature of the centre as I am rubbish at judging it! Once cooked fish them out the fryer and put them on a bit of kitchen roll to soak up some of the grease and then serve! Perhaps add a bit of garnish or salad to give the plate a bit of colour oh and a glass of wine to accompany them of course! I once decided to give oven cooking the balls a go. I sprayed them with oil and then put them in the microwave on the convection oven setting. They came out fine but in my opinion not quite as tasty as frying them, but it's an option if deep frying is a no no. There isn't one de facto recipe for Arancini. Every Italian Nonna has their own special recipe. You might like to add potatoes, mushrooms or use a different type of sauce for the centre like bechamel. You can even have sweet versions of the rice balls with cinnamon, nutmeg, vanilla and cream. 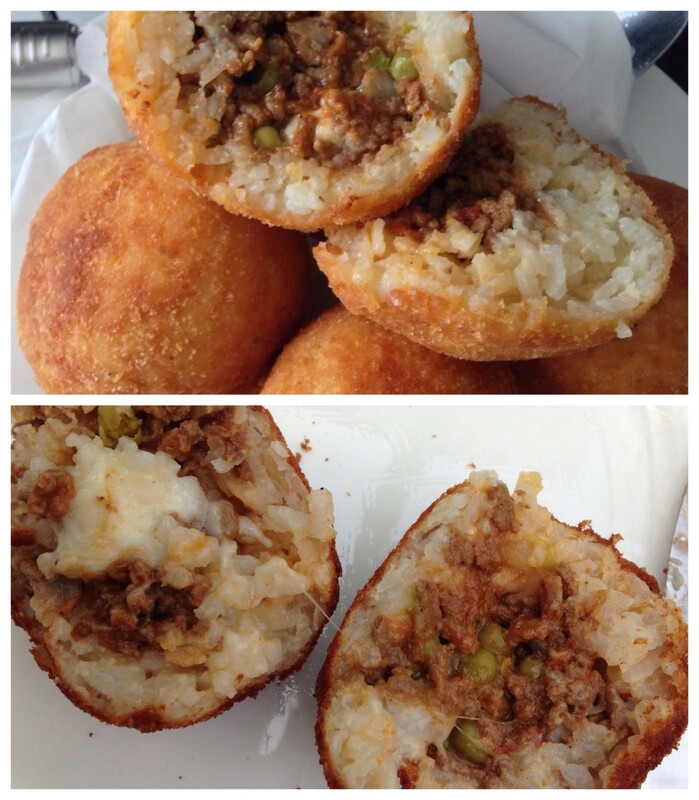 Hope you enjoy the recipe and experimenting with your own take on Arancini! How many types of Arancini have you tried? How do your heat arancini balls? You can either deep fry them or over cook them. They are tastier deep fried, in my opinion! If you're using oil in a saucepan rather than a deep fat fryer then it's best to use a temperature probe. Heat the oil to at least 325 degrees (between 325 and 375) and once you have put the arancini in the temperature will drop slightly, aim to maintain the heat at 250 to 325 degrees. The oil has to stay hot enough to avoid getting soggy balls! 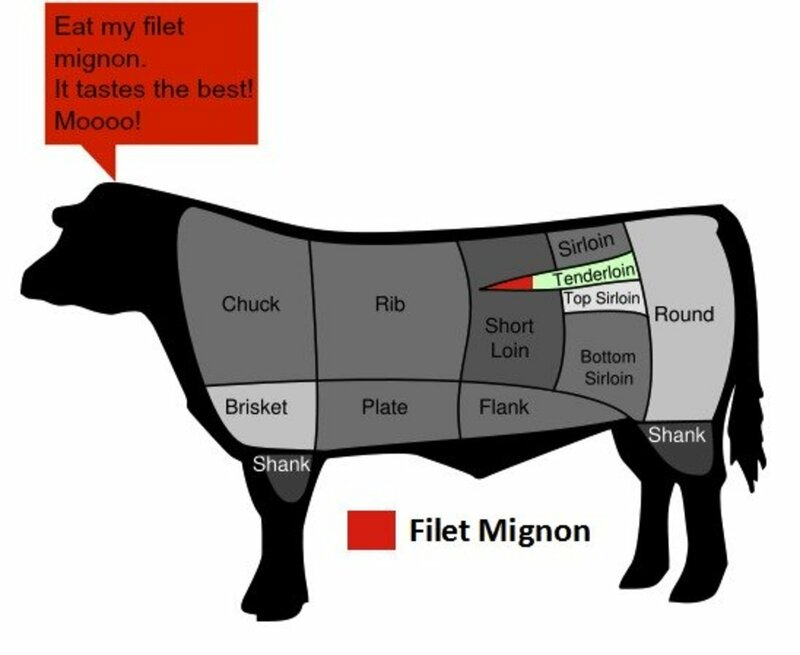 What Are Filet Mignon and Beef Tenderloin? So pleased you made them! Yeah, I have to remind myself not to make the balls too big! One ball can end up as a meal in itself! MMMM! These were delicious! Thank you for the recipe. My only problem was that my balls were too huge! So looking into this it seems that tomato puree in Europe is tomato paste in the US, to add to the confusion! I have edited the recipe ingredients as in the US tomato puree means something different. This site explains passata, puree and paste quite well http://www.everyday-vegetarian-recipes.com/what-is... You don't want to add more than a spoon or so of the puree/paste in total as it is very concentrated and you will need something in there that is a bit thinner to create the sauce. Maybe blending up tinned tomatoes with a dash of paste would work. Tomato paste could work too I would think! The flavor would be different of course. Passata is a medium thick, sauce made from uncooked, crushed and strained tomatoes. It is a pourable consistency. Just googled it to get more details for you and it seems that it isn't as readily available in the US as it is in Europe although you can get it online and in Italian delicatessens. 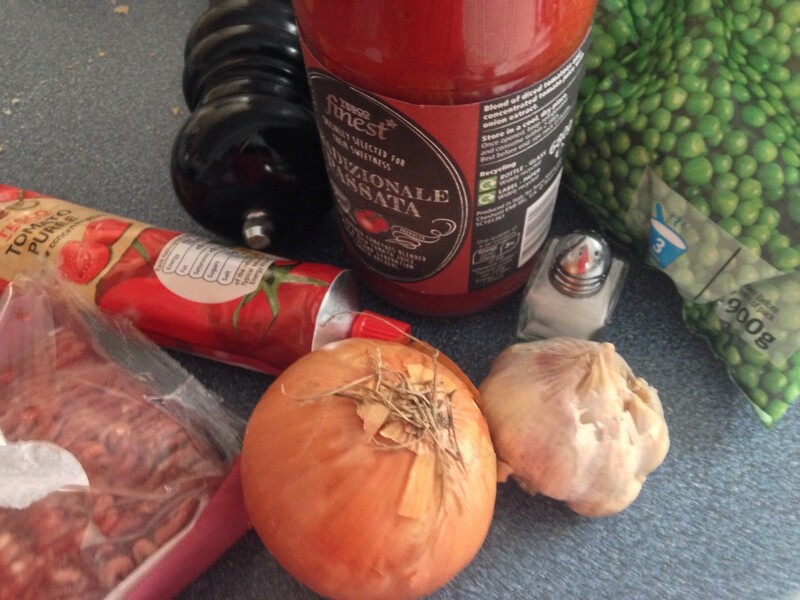 It is a handy ingredient to have but in this recipe as you don't need that much of it you can substitute with a simple Bolognese sauce, something like Dolmio maybe or equivalent... Hope this helps! What is passata? These look amazing. Can't wait to try it!